How do you grow as a contemporary furniture retailer without opening more stores? 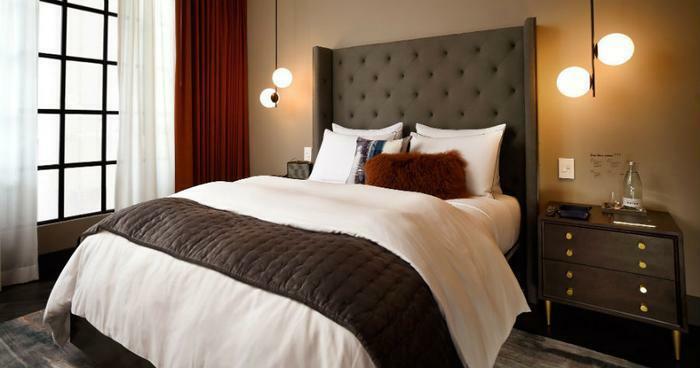 West Elm plans to do so by launching its own hotels. In addition to putting a roof over travelers’ heads, the boutique hotels will showcase West Elm furnishings. From light fixtures to linens, all decor featured in each room will be available for guests to purchase online or via the company’s app. The try-before-you-buy themed rooms won’t feel exactly like sleeping in a West Elm store, of course. Price tags will be hidden and dim lighting will pervade. Area-specific touches will also be added. West Elm president Jim Brett tells the Wall Street Journal that managers at each hotel location will be given money to buy goods from local craftsman. “Managers can buy from our designs depending on what is right for their local customers,” Brett said. Brett, who has been at the helm since 2010, says the company’s venture into hospitality could fuel growth while keeping it from making a mistake commonly made by other retailers: opening too many stores. “Where many retail brands have put the nail in their coffins is by opening too many stores,” Brett said. Although Brett doesn’t envision opening another 100 brick-and-mortar locations, he says eventually West Elm could have as many hotels as retail locations. West Elm Hotels, the result of a partnership with hospitality management company DDK, are slated to open in Michigan, Minnesota, Georgia, North Carolina, Indianapolis, and Indiana in late 2018. Each hotel will have between 100 to 250 rooms. The WSJ reports that rates will start at $175, but luxury suites may cost upwards of $400.